I'd originally intended on including Mammoth's IPA in the tournament, but I discovered that it's pretty much nonexistent in San Diego. However, Hi Time in Orange County (which, incidentally, may be the best whiskey purveyor in southern California in case you were wondering) had their 395 when I stopped by a while back, so I grabbed it. I recall Matt saying it was pretty decent- or at least his favorite of the beers he had at the brewery, which I suppose doesn't necessarily mean it's actually good, when you get right down to it. Apparently this is brewed with sage and juniper berries, though I sure as hell couldn't tell by the nose. It's highly malty, and that's the primary thing you smell, though there is some decent hoppiness in there, and combined with the malt accents, it comes off sort of spicy. My aunt said she picked up some ginger, which sort of made sense. There's also a touch of mustiness, but it's nothing obtrusive. Relative to most other California IPAs, I'd say this stretches the bounds of the category...maybe it's more like an imperial amber ale? The flavor's surprisingly bitter considering the malt body and the relatively low IBU (50). It tastes something like bitter Coke Classic due to the malty sweetness (but not too much sweetness, hence Coke and not Pepsi). There are lots of caramel-toffee flavors and some coffee/chocolate accents, so malt-flavor-wise it also comes off like a sort-of super light porter. I still don't get any sage or juniper though, at least not in an obvious way. This isn't something I'd want as an everyday beer, and I'm glad I shared it because it's on the heavy side. But it's definitely an interesting take on an IPA, particularly because it seems to share a number of aspects with other styles. Definitely give it a whirl next time you're hitting the slopes up Mammoth way- I could see it being ideal for après-ski (but then, what beer doesn't work for après-ski?). I drank this beer and Loved it! 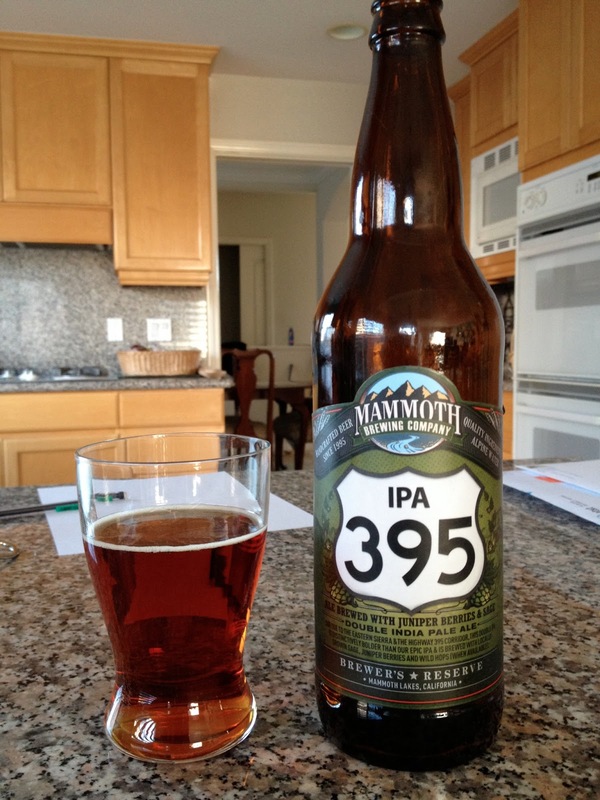 Chris, It was good for Mammoth, but ya going against the big IPAs it would get destroyed.